7514 Revelwood in Magnolia, Texas, closed today marking another successful closing by Chevaux Group, PLLC. A wonderful warehouse with full living quarters located in an excellent corridor in Magnolia. Montgomery County continues to be a thriving market in both the residential as well as the commercial real estate market. This is a great place to live and to bring your business. 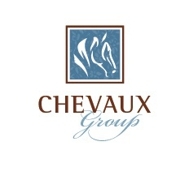 If you are interested in purchasing or listing real estate, call Paula at Chevaux Group. Paula has lived in Montgomery County for over 25 years and knows it well!